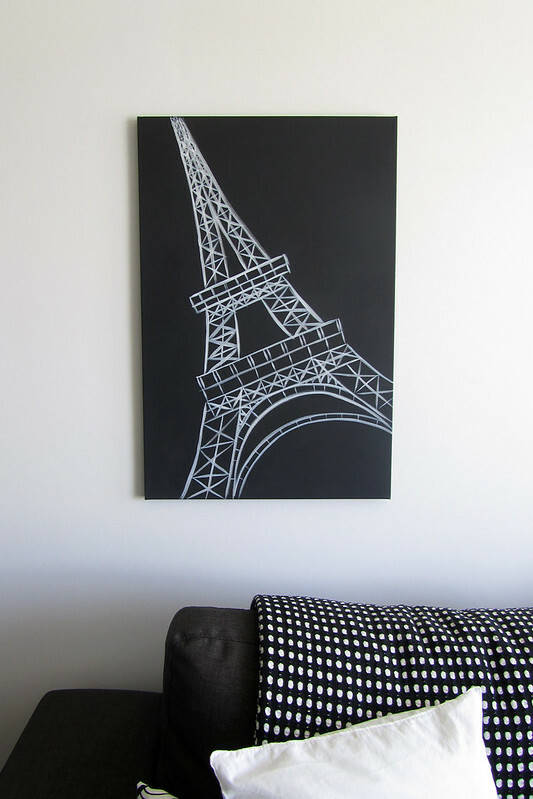 A friend of mine commissioned me to paint her an Eiffel Tower, and I was really excited to give it a try. I mean, how bad could it turn out? Ok, I guess it could have been kind of bad. But I ended up thinking it was ok! I think I may do another one of these for the shop...it was so much fun to do. Maybe the exact same, or maybe the reverse (black on white)...we'll see. This one got and the skull have really got me thinking....I think I need to try other new subjects too, and put my ADOP spin on them....feeling very inspired these days!